Occasional address by Rabbi Raymond Apple at the University of New South Wales graduation ceremony, 19 May 2006, at which Rabbi Apple was awarded a Doctor of Laws honoris causa. A video of Rabbi Apple’s address can be viewed here. I am delighted to be in such good company this morning and to add my congratulations to all of you who, like me, will leave wearing a new distinction. For my part, let me thank the University most sincerely for the honour that has been bestowed on me, and for the privilege of contributing to the teaching programs of the Law School over a number of years. It is a long time ago that I began law studies at the University of Melbourne, but I still remember Lecture Number One, when the sub-dean of the Faculty shocked us by saying, “A lawyer does not need to know the law”. Fortunately he continued, “A lawyer does not need to know the law… but must know where to find it”. It was not long before I discovered that he was not entirely right, but nor was he entirely wrong, and your experience, whatever your field of study, is probably the same as mine. What you take away from university education is not knowledge so much as the tools of knowledge, the capacity to search for the answers yourself. You also take away the mind’s eye picture of the scholars who were your university guides. My own studies covered a number of disciplines – arts, law, religion, history, education and Biblical languages. 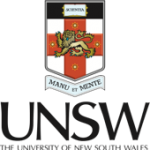 I was fortunate that at the same time as using my qualifications in the work force I kept a foot in academia and taught most of my subjects both here and at Sydney University, as well as at other tertiary institutions in three continents. What I taught at this university was Jewish law as a legal system. My teaching career, though secondary to my full-time work as a cleric, embroiled me daily in one of the great dilemmas of the academic – that of whether and how far one one’s own views, biases and commitments should come into the classroom and into interaction with students. This is an obvious concern when the teacher is a religious leader and the subject matter is an aspect of religion, but it applies in every field. It is not easy to put aside deep convictions for the supposed objectivity of academia. The dilemma is that there must be personality in teaching. We all know the jokes about teacher and class all staying away but sending tape recorders to talk to each other. The human interaction of teacher and student gives life to the class, and part of that is the idiosyncrasies of the teacher. I had a lecturer who chain-smoked in class and mesmerised us as the ash built up and hardly ever fell off. No wonder I remember his cigarettes but not his teaching. The problem becomes serious when idiosyncrasies of commitment and opinion are advanced in ways which neglect, dismiss or deride other options and opinions. It is exacerbated when other scholars are discredited because of where they come from, their creed, politics, personal history or habits. How does the academic square all this with their scholarly conscience? And how ought a student respond to teacher prejudice? If a student challenges the teacher’s biases, will this impact on examination results? Must a student tailor an essay or research project to what the teacher wants to hear? Despite my determination to be even-handed, occasionally a student could not be budged from their own preconceptions and felt I would not give them a fair hearing. At times, therefore, I asked a colleague to mark an essay because I knew the student did not believe I was capable of reading their work fairly. This is a concern in every discipline, but it is even more difficult when the subject is religion, which usually insists that its truths are absolute. For my part, I always made a distinction between the seminary and the university. The seminary is there to cultivate an ideology and commitment; the university stands for free enquiry and critical examination of texts and teachings. Not that this rules out the possibility of a religious university or a university under religious auspices. Such a university must be a university, but there is a significant difference. Nice bon mots, but do they solve the underlying philosophical problem: how can a university be religious, when religion sets limits to free enquiry? The answer is not as difficult as it seems. A religion which has an intellectual tradition sets no limits. In Yiddish there is a phrase, Freg nisht! – “Don’t ask!” But Freg nisht applies in the pragmatic sphere: is a certain action permissible or not? In that sense, if you fear that the answer will be “No”, it may be better not to ask. In intellectual analysis, however, the use of human reason to ask and assess the range of answers is not only inexorable; it must be God-approved, since religious doctrine teaches that reason, like every faculty of the human being, is God-given and meant to be used. Free enquiry means the suspension of prejudgments. Another Yiddish phrase is, Es shtet geschriben! – “The text is clear!” This too may be a pragmatic principle: may I disobey a commandment? You might want to look behind the commandments, but the quick answer is, Es shtet geschriben! But in intellectual matters the mind cannot be stilled or stifled. Some things are outside the sphere of reason, but blind faith can neither see nor shed light. What, then, if intellectual rigour makes a person into an agnostic? A secular university with its pluralism of theories and views might not make you religious, but then again it might. It can have a negative effect on religious belief; it can also have a positive effect. In my case the influence was positive. University education opened up for me the grandeur of the physical and moral world, the majesty of the human mind, the intricacy of systems and ideas – and I knew that, in Professor Churgin’s words, it was with the help of God. In contrast, ordinariness, banality and profanity all trivialised the complexity of the universe. I spent countless hours in the religion sections of the Melbourne University Library and the State Library of Victoria; I doubt whether any other student had ever requisitioned so many religion books from the stacks. I discovered that all knowledge was one, one body with innumerable interrelated facets. I discovered, too, that no field of human endeavour is without its religious influences: that no discipline can be studied without recognising the religious component. True, from the Enlightenment until mid-20th century, religion lost credibility and declined as a subject of academic interest. Man now rediscovered religion and saw it as a means of protecting him from himself. At the same time new academic developments brought studies of religion into education on all its levels. The new century has brought a new fear of religion. It is not only relevant but dangerously so, with its three Fs – fundamentalism, fixidity and finality. There is a tug-of-war between the moderates who believe in tolerance and dialogue and the absolutists who cannot allow space for others and their conscience, who have so little time for love, mercy and compassion. I once gave a lecture which I entitled “How My Mind Has Changed”. Amongst other things I said that my mind had changed about religion. I said I was no longer so sure that religion was a good thing because as a moderate I feared for a world in which religion was hijacked by fanatics. I apply these words to all the disciplines which have their place in academia. I apply them to those of you who graduate today. Take from the university not only the letters you now put after your names, not only the documents that testify to your new status, not only the skills you have learned and the thought of the scholars you have met and the friends you have made. Treasure all these things, but do not forget in all the years ahead that when you deal with people, issues, events and situations, your task is not to judge, but to listen. And thank you for listening to me today. I hope you will not judge me too unkindly. This entry is filed under Articles, Misc. Addresses.